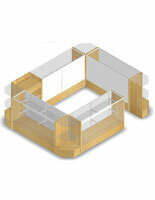 This checkout counter is your ideal store fixture! 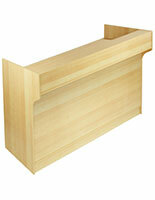 This checkout counter is constructed from economical maple melamine. 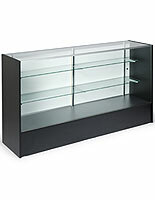 The business display case, checkout counter is an affordable, useful display. 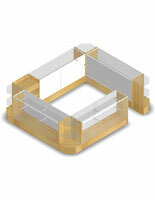 The display is the ideal checkout counter for a department or jewelry store. Place jewelry, pocketbooks, or other expensive or fragile items within a checkout counter. Checkout counter items will be perfectly visible and safe! 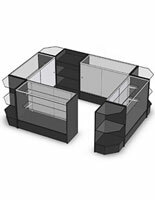 We offer this checkout counter with the following pieces: (4) Corner Units, (4) 6' Full Vision Counter Displays, (1) 6' Checkout Stand, and (1) 2' Checkout Stand. 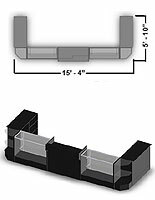 The checkout counter, also known as a retail store configuration, features a large area for employees to stand within the counter configuration. 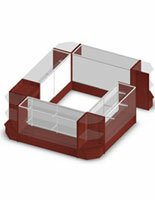 A glass case fixture, checkout counter is a large purchase. You will not be disappointed with all the great features this checkout counter offers! 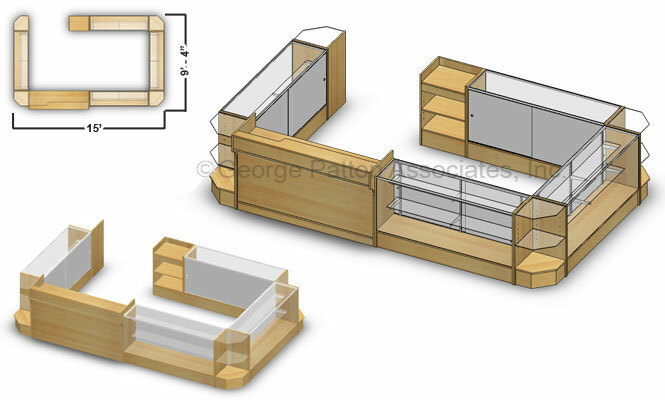 Included with your checkout counter is an adjustable shelving system; full tempered glass construction; sliding, locking doors; sliding drawers; a check writing ledge, and much more. This checkout counter, such as a store fixture, or business display case, has a beautiful maple finish to complement many decorating styles. 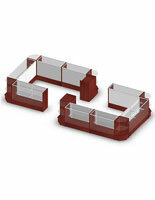 Show off your business's merchandise in style with an affordable, yet fully functional and stylish checkout counter. 132.0" x 38.0" x 112.0"